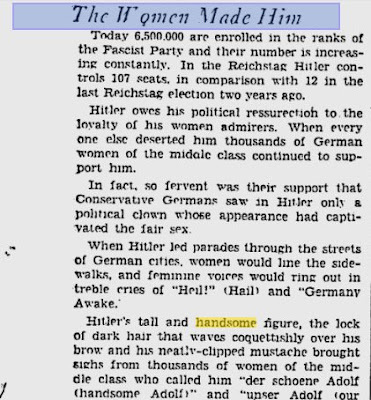 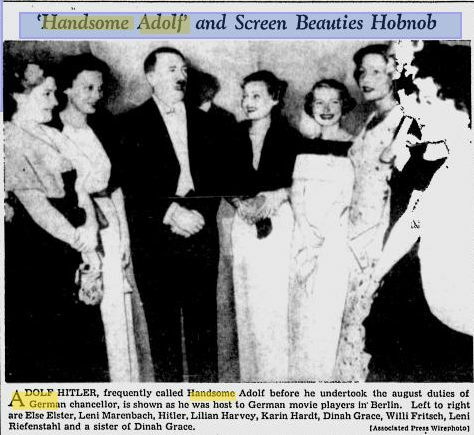 Handsome Adolf Hitler is adored by women shown by The Pittsburgh Press Feb 6, 1933. This is just to show that historically, it wasn't just men who supported the rise of the Third Reich, but women lusting after powerful Nazis as well. 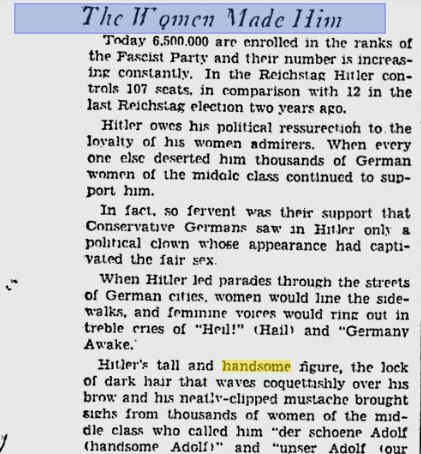 The Pittsburgh Press in 1930 talking about how women were Hitler's most loyal supporters even when everyone else deserted him early on. 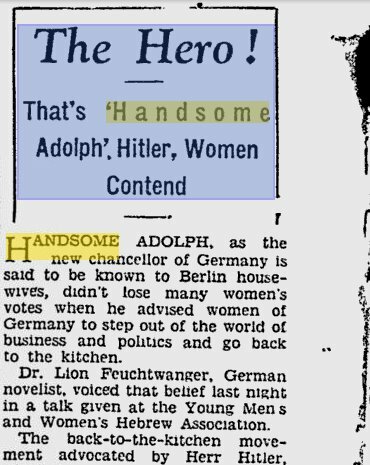 But they tell us in school that he just came out of nowhere as this evil unforeseen menace that the heroic Allies had to defeat. 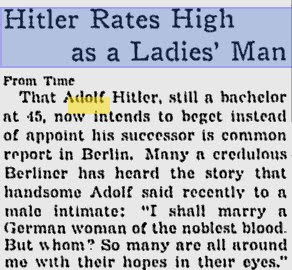 I'm not debating that he was evil, but the idea that only men supported this psychopath is absurd.